High on any adventurer’s bucket list is the sublime scenery of Swedish Lapland. Host to a full complement of winter activities and unique accommodation, it’s an enticing option all set to the ethereal glow of Northern Lights. Come winter, travel north in chase of one of the world’s most arresting visual phenomena – the Northern Lights. Close in on the Arctic Circle for a stay by the open fires of a traditional Swedish cottage on the Luleå Archipelago or make a pilgrimage to the Bjorkliden Aurora Festival where chairlifts bring guests to impressive views. However you want to experience them – from a jeep to luxury cabin – there’s something to suit everyone. Skiing and snowboarding live at the forefront of most people’s consciousness of winter sports; however, there’s much more to Sweden than hurtling down a slope. Jump aboard a snowmobile to discover wintery wonderlands or get in touch with your Nordic ancestors on a dogsledding safari as you learn to mush huskies and dodge low-hanging branches. There’s also everything from ice skating and fishing to snowshoeing and cross-country skiing. 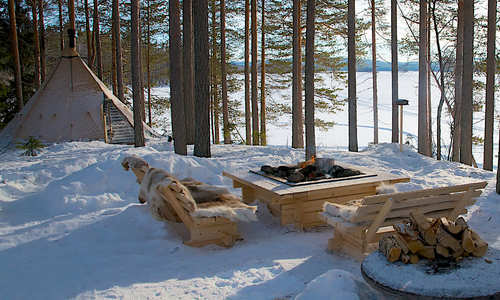 In Lapland, you’ll find most of Sweden’s adventure-based activities and lodging. Hike the trails of Abisko National Park and spot the native herds of reindeer before heading to the west coast. Here, you can fish for your supper and cook what you catch or simply laze down through marbled archipelagos dotted with picturesque fishing villages. Journey inland for canal cruises that, while not strictly adventurous, are among Scandinavia’s most beautiful. 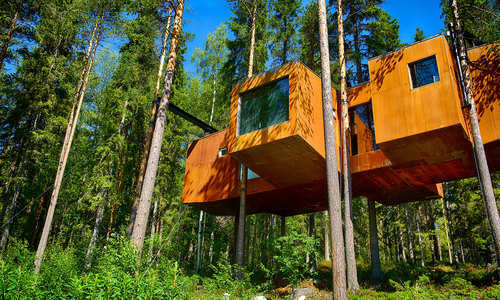 Sweden – ever focused on progression – has given rise to some of the most innovative accommodation that combines sublime, wilderness locations with well thought out design principles. Salient among them are the snow hotels, of which Sweden was the first country to pioneer them. The original ICEHOTEL is rebuilt each year to create a masterpiece of snowy artistry complete with eerie tunnels and high ceilinged rooms decorated with ice statues and reliefs. Grab a drink the ICEBAR – the glasses are made of ice – before heading out for an introduction into the indigenous Sámi culture with a reindeer sled excursion. To get even closer to the great outdoors, look to the back-to-nature Aurora Safari Camp in Luleå. A collection of traditional lavvu tents, it’s the brainchild of Northern Lights photographer Fredrick Broman and is designed to capture the best of the night sky’s dazzling greens and reds with only natural light sources used. Expect firewood heaters and a toasty campfire. If you’re looking for something more up-to-date, there’s the magnificent Treehotel. 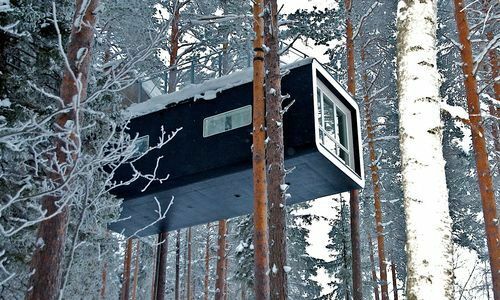 While it lacks imagination in its name, its mirrored cubes, cabins and UFOs strung among a Lapland forest canopy are far from boring.